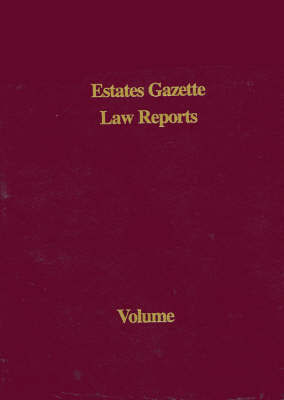 The Estates Gazette Law Reports are an indispensable reference for property law practitioners and students researching and advising on all aspects of: landlord & tenant, valuation, professional negligence, conveyancing, real property, leasehold enfranchisement & compensation. They comprise the most significant property cases determined in any given year and are published in three hardback volumes with corresponding head note. Cases are selected by HH Judge Hazel Marshall QC, Senior Chancery Judge at the Central London County Court.